I know how hard it can be to wait for weeks till you see your full set of wedding photos, especially at this time of the year when my editing workload is piling up fast 😉 So here’s a little mini blog of some images from Duncan & Emma’s Suffolk country wedding last weekend! 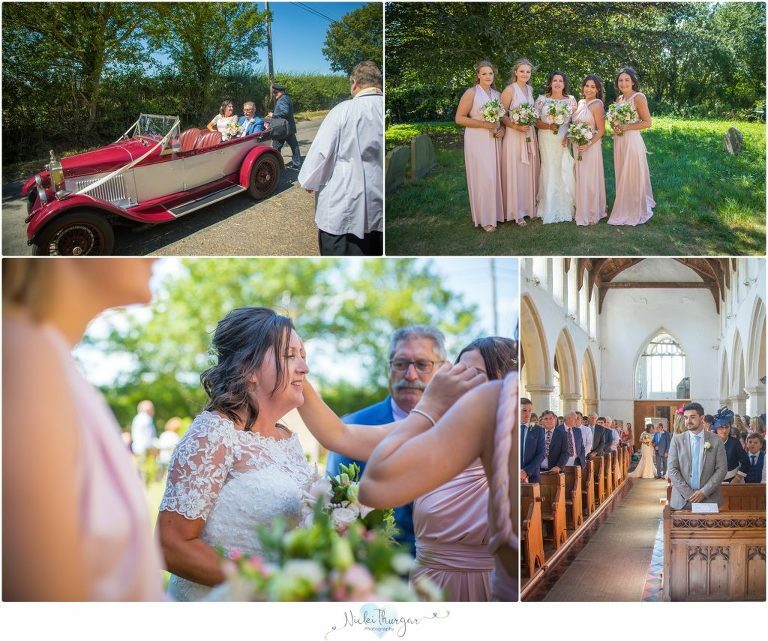 The wedding took place at St Mary’s Church in Cratfield, the day after one of the hottest days of the year (and a subsequent incredible thunder/lightning storm the night before), and was thankfully a lot cooler on the day, if a tad windy! Emma & Duncan are very much into vintage racing cars so it was only right that Emma should arrive at the Church in a beautiful old car, with her dad beside her. 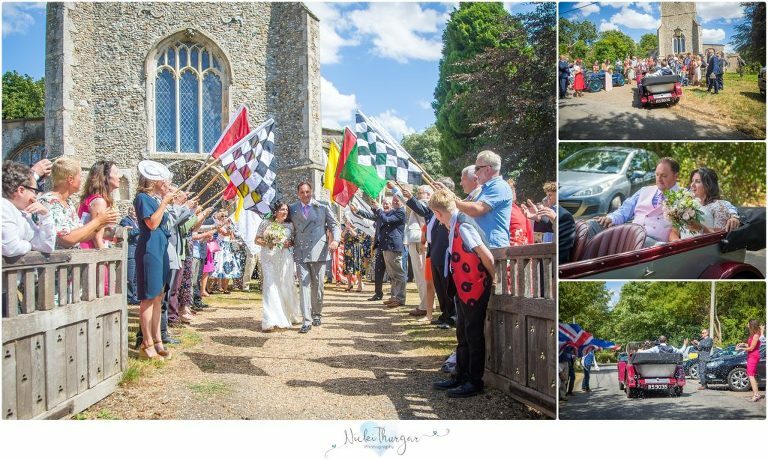 Once the ceremony was over, we did a few family photos outside the Church, before the couple had confetti showered over them whilst walking down an archway of racing flags – a really colourful way for them to leave the Church! Once they’d left the Church in their open top vintage car, the guests followed, some of them in theirs (I have no idea what a lot of the old cars were, but there were several of them and they looked fantastic!). 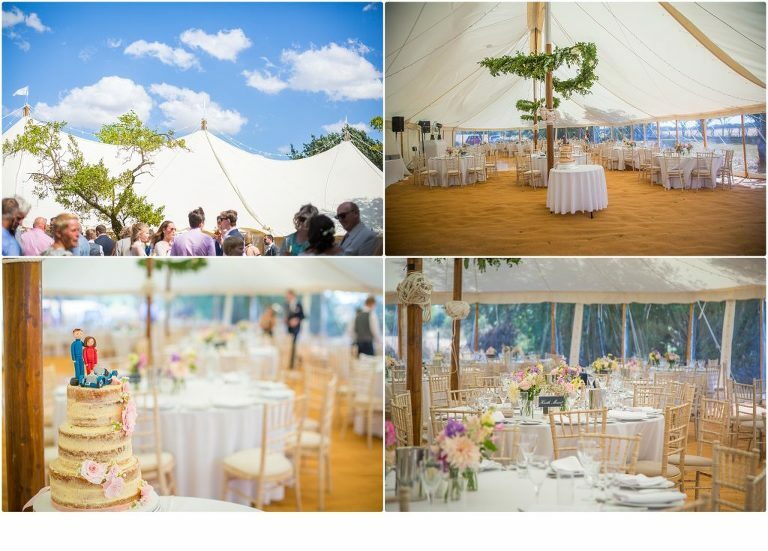 The reception took place in the couple’s garden and guests mingled in the sunshine with drinks & canapes before heading into the (well pegged down!) marquee for their wedding breakfast, followed by speeches.